As services are being rolled out in the Republic, it has emerged that people living in Northern Ireland will be charged €450 (in line with what providers receive from the State for treating patients in the South) if they travel south for an abortion. Several healthcare facilities have confirmed this rate. For GPs, who can charge individual rates, the fee may be even higher. This sum does not take into account travel and accommodation costs and the undue disruption caused by having to stay for several days or make repeated journeys to comply with the mandatory waiting period. People from Northern Ireland will likely experience additional barriers to finding a suitable healthcare provider, particularly amidst claims from some services that they will only accept patients from the local catchment area and from GPs that they will only provide for their current patients. Having previously been promised access to services in the Republic, it now appears that it will be cheaper and easier for pregnant people in the North to continue to cross the sea to England in order to access healthcare. We have always been an all-island campaign and we fight for access for everyone who wants or needs an abortion on the island of Ireland. People living in Northern Ireland need access to abortion at home. The current laws restrict abortion in almost all cases, denying residents of Northern Ireland rights that all other UK residents have had for 50 years. These restrictive laws violate the basic human rights of every pregnant person in Northern Ireland. The decision by the government to prosecute women who order safe but illegal pills online has shut down that option for people who can manage any other alternative route to abortion care. The government in England has recently followed its counterparts in Scotland and Wales and ruled that the second abortion pill – misoprostol – could be taken at home in England. Home use of misoprostol is safer, more convenient and provides pregnant people with the greatest degree of autonomy over their own bodies and healthcare. However, people from Northern Ireland are explicitly excluded from this ruling as they are forced to take the abortion pill away from home, due to outdated laws in their own country. Westminster has a duty to act and we stand alongside our comrades in Alliance for Choice as they fight to achieve the healthcare they deserve. In the interim, however, everyone who needs an abortion should be allowed to access services for free in the South. The fact that people were, and would continue to, import abortion pills illegally was a compelling factor in the Joint Oireachtas Committee recommendation to repeal the 8th. Under the current system, many in Northern Ireland will still be forced to break the law and risk life imprisonment. During the Dáil debates on the legislation, Minister Simon Harris made the extremely valid point that abortion is not truly safe unless is it free. We agree, and are disappointed that the Minister has not extended this sentiment to all, regardless of their place of residence of citizenship status. Allies from the North have stood alongside us for years. They marched with us in their thousands. They canvassed the towns and villages of Ireland with us and were crucial in our struggle to repeal the 8th. We cannot and will not leave them behind now. Our Government must not either. Accessible care must be accessible for all. No one left behind. Write to the Minister for Health and your TDs and call on them to provide free abortion services to pregnant people from Northern Ireland. Living in the UK? 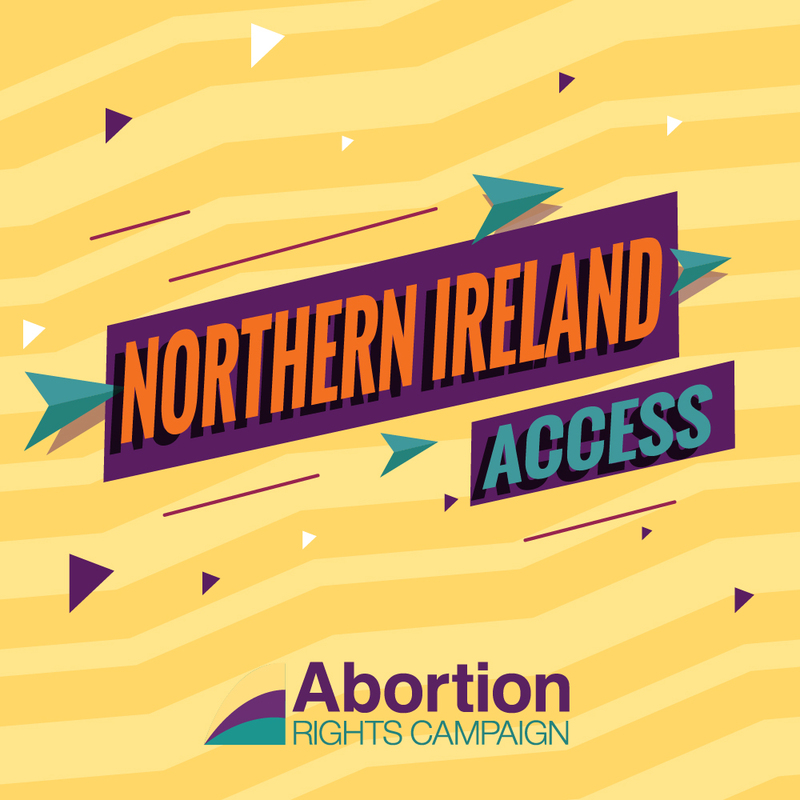 Write to your MP and the Minister for Women and Equalities ask them to support calls to decriminalise abortion in Northern Ireland.